If this article caught your attention, like plenty of logistics and supply chain professionals, you are interested in getting ahead in the sector using any available productivity enhancing tech. Continuous Material Handling is something that will ease your burden when it comes to warehouse logistics, raise your productivity and let you meet the growing demands of the modern customer. Handling: What’s the big deal? Move goods, slot them, pick them, send them. Packages, pallets, and more in warehouses, manufacturing centres…that’s handling for you. Hand-picked, semi-automatic or fully-automatic systems may require computerization. As you know, these days handling equipment is the king of the warehouse. For example, the pallet jack, forklift truck or stacker, as well as other automated storage solutions, like stacker cranes, conveyors or even motorized shuttles. But where do the similarities begin and end for traditional and continuous material handling. What is continuous material handling? Continuous material handling is the means used to process the flow of goods or certain products along their route. It represents the evolution of traditional handling, which is a staple in our warehousing facilities. This handling allows storage, production, reception, picking, etc., tasks to be done. To implement a continuous material handling system, you must depend on IT programs, like a Warehouse Management System (WMS), and other automated storage solutions. What drives a company to use Continuous Material Handling? Look no further than to reduce in-warehouse mileage and increase productivity, as well as the work quality it affords. Person-to-Product: Operators go around slotting or collecting merchandise. Since these team members are free to collect items as they see best, their pick times are not as optimal. Product-to-Person: An operator stays put to pick. Goods flow along conveyors and, thus, routes can flow optimally (thanks to a solid WMS). Efficiency is operator dependant: Add up the worker’s experience, handling equipment skills or the routes they follow. Operations are pro-efficiency: More orders are organized in less time. Picking errors are bound to happen. People are still people. Picking precision: Smoothly run picking, sorting and packaging phases. Increased operating costs and setbacks in deliveries: traditional material handling requires more of your business’s resources than continuous material handling. They reduce costs and delivery times thanks to streamlined processes. Ergonomics and safety are big issues for workers. Operators risk their health through poor posture and forklift-related accidents. It improves workplace safety and ergonomics. There are fewer accidents as operators move around less. Assembly and production line: Not an option with traditional handling. 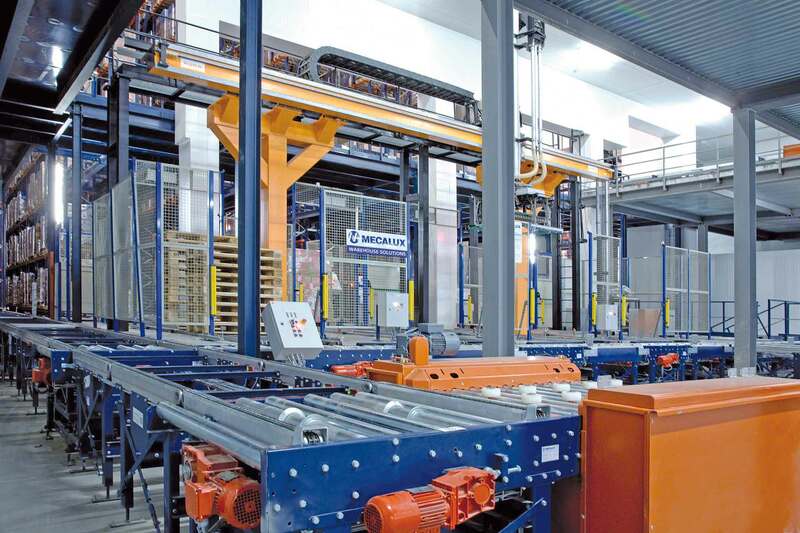 Continuous material handling can combine a production and assembly line. Are conveyors right for my business sector? The emergence of continuous material handling has yielded big numbers for many company’s in-warehouse logistics. Don’t be left out in the cold. Pro-actively reduce movements in your warehouse and cut back operator stress from pick and prep tasks, or receipt of your inflowing stock. Get the information you need about conveyors to take your business to the next level.